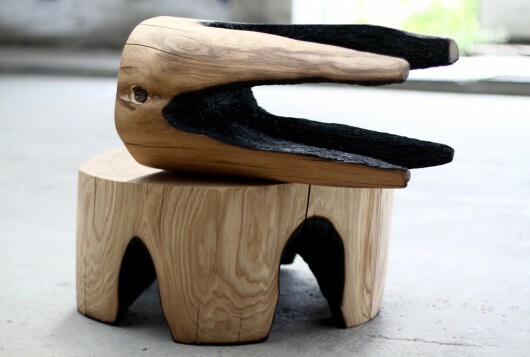 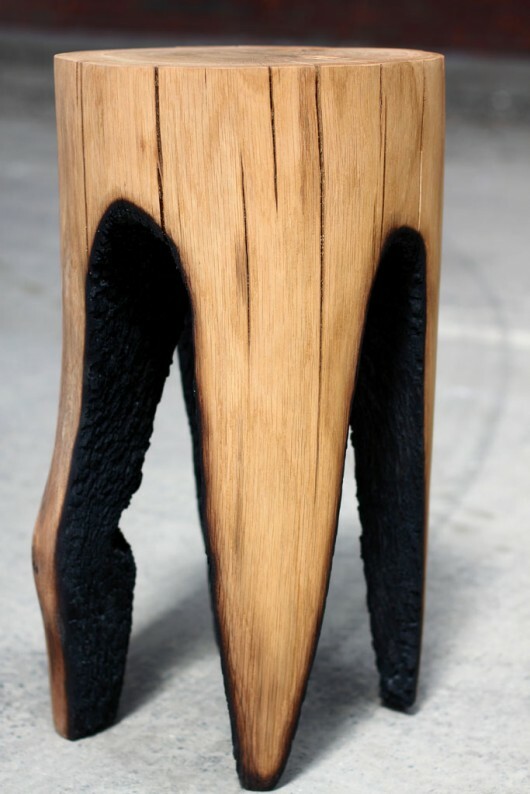 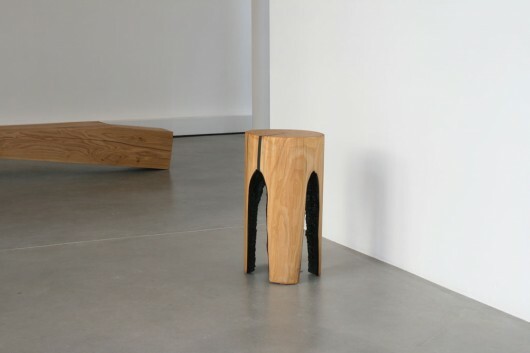 Burnt Out Stool by Kaspar Hamacher | Shelby White - The blog of artist, visual designer and entrepreneur Shelby White. 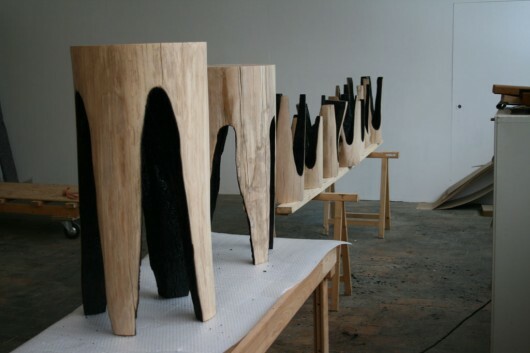 Kaspar Hamacher created these wonderful burnt out stools by setting smaller chunks of wood already on fire, on top of the cut stump. 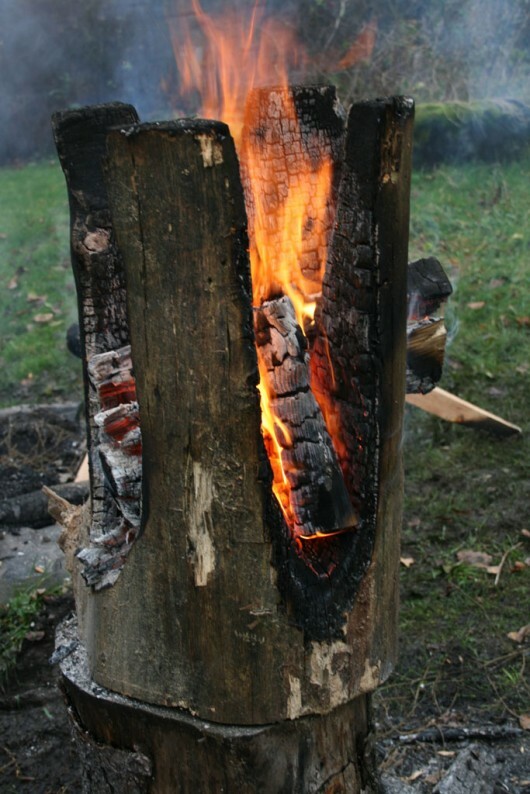 Continuously switching the criss-crossing pieces of wood allows for the burning pattern. 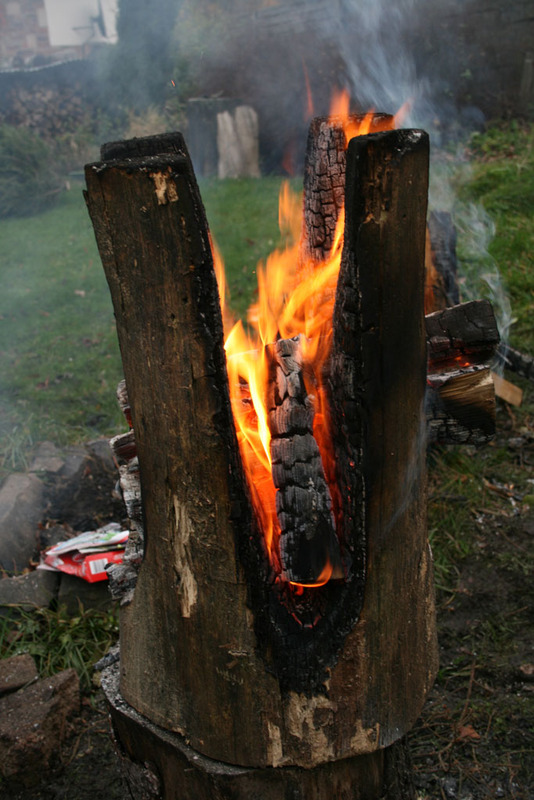 Another method of doing this would be to cut out the stumps then burn only for a fraction of the time. 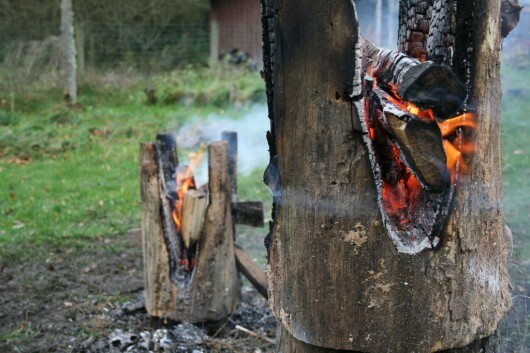 year to become meat products for the American public.